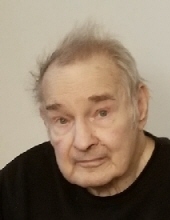 Elmer (Buck) Sarver, 83, of Parks Township passed away January 5, 2019. He was born May 6, 1935 and the son of late James (Mildred Moore) Sarver. Buck was a graduate of Apollo Ridge High School and a Veteran of the United States Army. He was employed by Babcock and Wilcox as a Safety Manager in Apollo. Buck enjoyed wood working and loved to go fishing. He is survived by two daughters Denise Walker of Apollo and Diane (Dave) Peppler of Parks Township, three grandchildren Brian and Sarah Peppler and Rebecca Yenchik, two great grandchildren Abigail and Conner, and several nieces and nephews. In addition to his parents he is preceded in death by his wife Constance (Jagodzinski) Sarver, a brother James Sarver, and two sisters Vera Carney and Wanda Smith. Family and Friends will be received on Tuesday January 8, 2019 from 6:00 to 8:00 pm with full Military Honors at 6:30 pm that will be conducted by the Vandergrift Honor Guard at The Janette L. Gamble Funeral Home Inc. 2842 River Road Vandergrift, Pa (724) 567-7006. In lieu of flowers donations may be made to the American Cancer Society at Cancer.org. Online condolences may be made at Gamblefh.com. To send flowers or a remembrance gift to the family of Elmer (Buck) Sarver, please visit our Tribute Store. Family and Friends will be received on Tuesday January 8, 2019 from 6:00 to 8:00 pm at The Janette L. Gamble Funeral Home Inc. 2842 River Road Vandergrift, Pa (724) 567-7006. Family and Friends will be received on Tuesday January 8, 2019 for a full Military Honors Service at 6:30 pm that will be conducted by the Vandergrift Honor Guard at The Janette L. Gamble Funeral Home Inc. 2842 River Road Vandergrift, Pa (724) 567-7006. "Email Address" would like to share the life celebration of Elmer (Buck) Sarver. Click on the "link" to go to share a favorite memory or leave a condolence message for the family.